All things, I think, do not come to those who wait. What about Godot? Or that Smith-Corona stock that seemed to be such a nostalgic good idea? Waiting was not always totally painful. Back when you knew Santa would bring at least one or two joyful surprises, or when the late-night radio personality you were dating spun the sign-off music and was headed to your apartment, that old Patience Is A Virtue adage nailed to your brain by your grandmother wasn’t all that menacing. But patience today is increasingly hard to come by. Told the conference would begin at 10, we were asked to arrive by 9:30 at the latest. I showed up at 9:15. At about 9:45 the word circulated among everyone milling about in the church courtyard that the conference had been postponed to 10:30. At 10:30 we were sitting in the quiet room. At 11:00 the word circulated that a “roundtable” discussion with selected faith leaders was underway in a room downstairs. At 11:15 I asked if there were any indication of when things would get underway, pronouncing myself (to the staffer who periodically appeared and said things like “Please don’t get in the way of the TV cameras”) too angry to hang around much longer. About 11:30, Speaker Pelosi and the roundtable participants appeared, speeches were made, a few questions were asked. Here’s the rub: I am on Nancy Pelosi’s side. 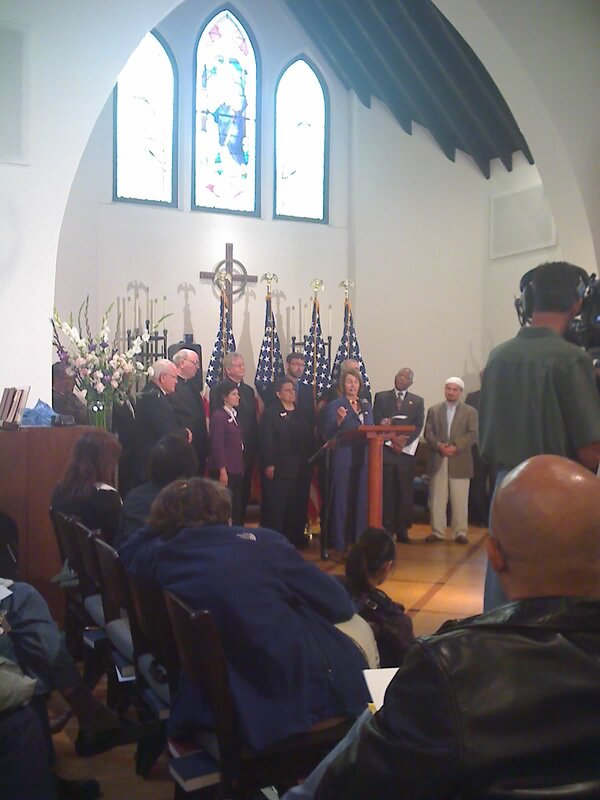 I fervently support – actually, have been Secretary of the Board forever – the San Francisco Interfaith Council, and I desperately want healthcare for all, which was the topic of the conference. I even understand about security issues and tight schedules and all that. But patience is increasingly hard to come by. I hope impatience doesn’t cost us too dearly.